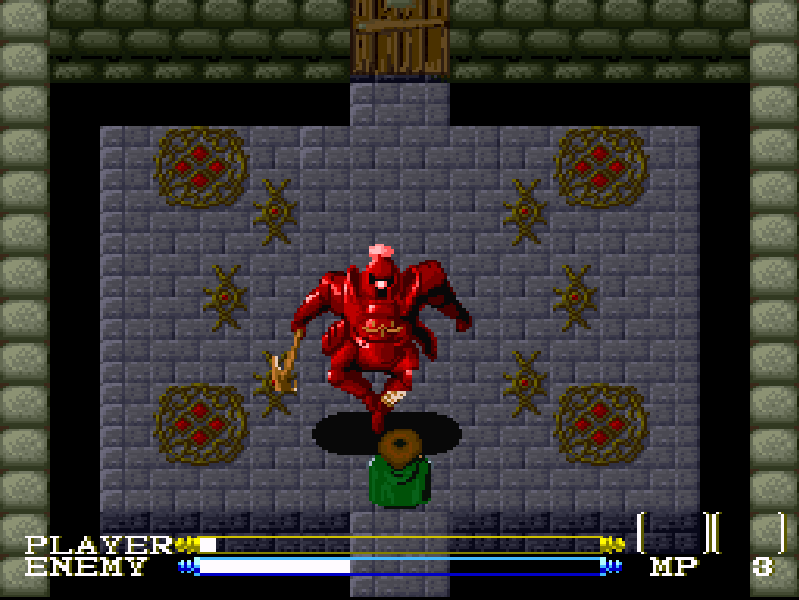 Lagoon is an RPG for the SNES, in much the same ilk of Ys, Willow and Crystalis, although much more basic. 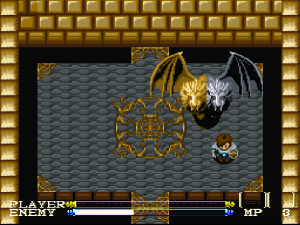 Lagoon was published by Kemco, a company mostly known for giving us the Top Gear series and a whole lot of Game Boy games, only a few of which slightly resemble RPGs. So what could we expect from a company who published a little bit of everything? Now I need to be perfectly honest, when I started playing the game for this article I fully expected to make a gleaming review to garner some respect for this game, thinking it had been judged too harshly. I can honestly say that after playing this game, up to the final bosses, I have nothing, even remotely, to praise about this game what so ever. Ok, so the game isn’t complete trash, but it fails on nearly every level it tried to clone from the games it so shamelessly copies! A comparison of how Ys (SMS) starts, and how Lagoon starts. 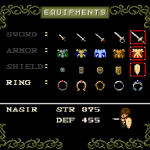 Speaking of levels lets begin there; what is an RPG without a robust leveling system? 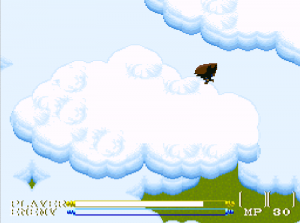 In Lagoon you’re limited to 35, and although that is over twice the levels in both Crystalis and Willow, there is absolutely no reward, fanfare, or any notification at all for gaining new levels. In almost every other RPG you’re well aware when you’ve obtained a new level, no matter how deep into grinding you may be. With Lagoon levels nearly fly past, without even a hint that you’re gaining them, forcing you to open the menu to check which level you’re currently on. 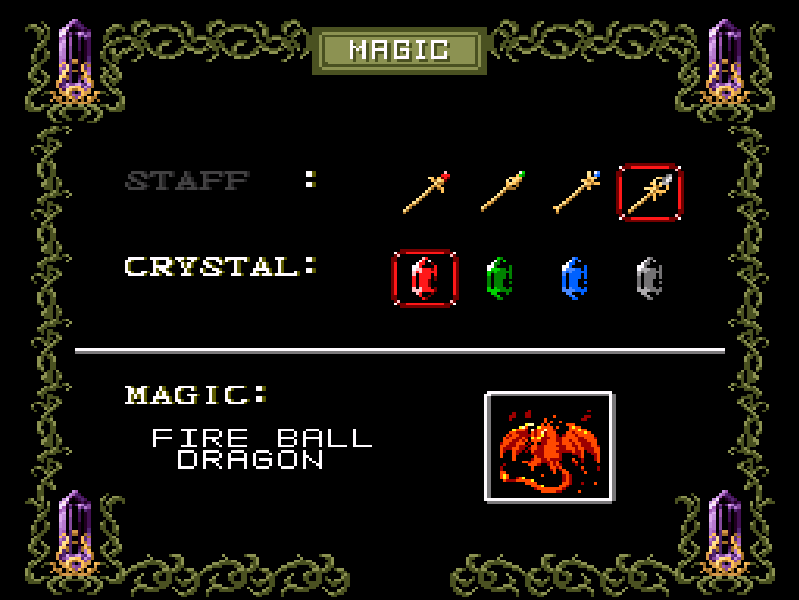 Another thing Lagoon has in common with Crystalis and Willow is the armor and weapons scheme. You’ll only need to purchase your first set of armor, the rest of the equipment to see you through the game is sprawled out within the caves you’ll be exploring to advance through the pretty abysmal and boringly stock story. Which only has you going back and forth between places you’ve already been a few times, making this game feel entirely too linear for its own good. 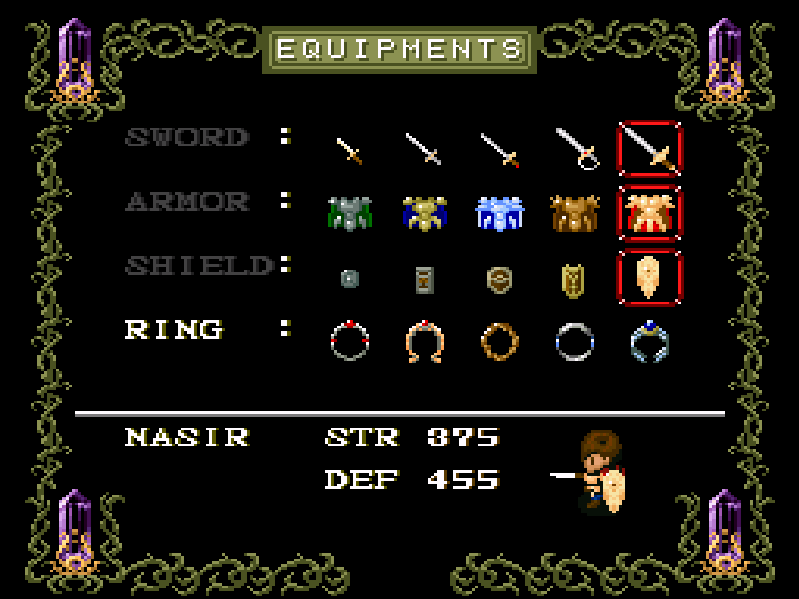 Although the armor is setup to be found, once you find them you may be surprised at the detail of actually changing the armor on the main character sprite. Overall the armor and shields look good and are quite useful, but the weapons only get mildly stronger as you progress. 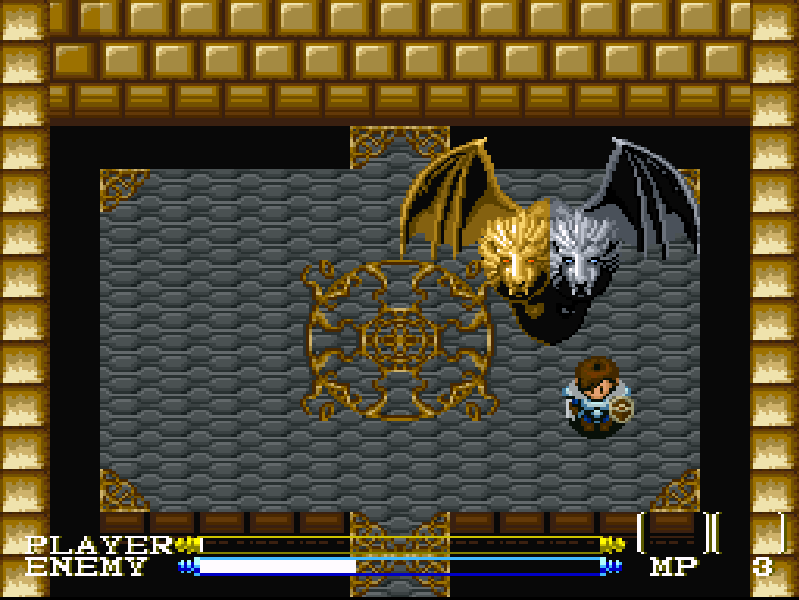 Even though the weapons get stronger for some reason they never bothered to change it on the sprite, so for the whole of the game you look as if you’re swinging a dagger, or pocket knife, and the targeting system makes it feel that way too! One thing I disliked about the two games I keep name dropping because this game so clearly copied them, was the hit detection system, but after a few levels I found the flow of how to center my attack and become more successful, without taking a heap of damage. Not the case with Lagoon, hitting enemies sometimes feels the equivalent of threading a needle while your hands are on fire, it’s virtually impossible! 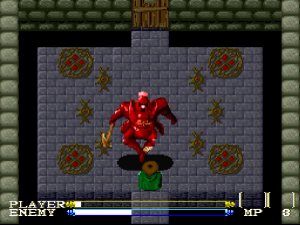 On normal enemies placed around the game to help you level up this may be fine, but it’s an exercise in frustration when it comes to a boss fight. Not a bad Boss design, just not much fun to kill. Boss fights are strewn about to help push the story forward, again pretty standard RPG fare, but only require a slight bit of strategy, if any. But, and I can’t stress this enough, you need to hit a certain point or points on a massive boss with your equivalent of a pen knife, possibly leading to many frustrating attempts. 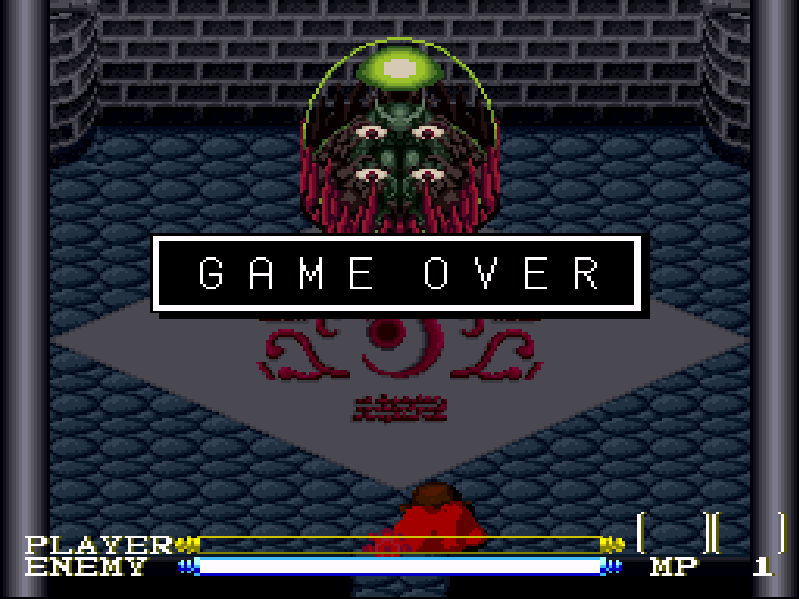 Although sometimes the poorly thought out system can play extremely well in your favor, as I’ve sometimes walked straight into bosses and found the hot spot right away and did nothing more than button mash until they were defeated, taking little to no damage at all. 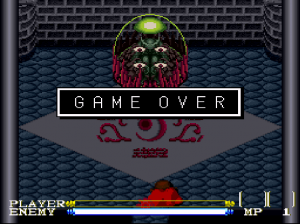 The first boss, learn from the frustration of this one, it doesn’t get any more fun. The linear feel is broken up by a handful of caves, castles and other places you need to go through to level up, find essential items/armor and to fight the boss, but unlike any other RPG I’ve played Lagoon leaves you in the dark as to what floor you’re on once you’re inside. You go through door ways and passages and you’re never fully aware if you’ve gone up or down, in a circle or just through a door into another part of the building on the same floor. As I previously stated you’ll need to search these winding corridors to find the, very few, items you’ll need to progress, but when you do find them you’ll be presented with an obnoxiously long fanfare. They can put one in for finding an herb but not for gaining a level, that’s well thought out programming! Yet another thing Lagoon has in common with Crystalis is a small amount of platforming, requiring you to jump from area to area, or else you fall to your death, Game Over! Which is turned into quite the task by the poorly thought out centering system. The main character will almost walk off the screen in any directly, leaving you unsure of what is along the next step. It could be something you need to kill, or it could be a pitfall that will kill you and take you to the Continue or End screen. 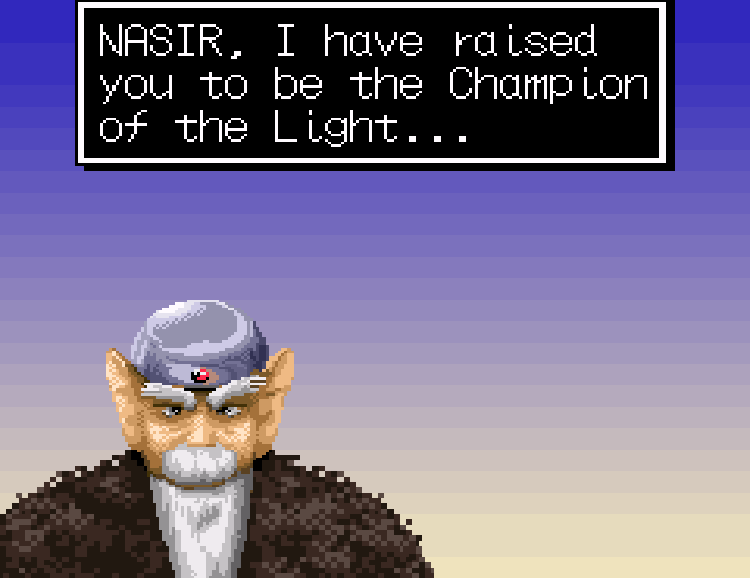 Nasir falling to his death. Now we get into Ys territory with the ability to save virtually anywhere, expect boss rooms, so if you’ve planned out your save strategy well enough, once that dreaded Continue screen pops up you’ll be able to restart exactly where you last saved. This can be both handy and harmful as you can save almost anywhere, as often as you like, and progress through the game with a frequent save plan. 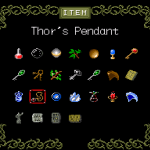 But since the game tends to close things off behind you, in that linear fashion, I also assume if you miss an item and save down the road you may be screwed! 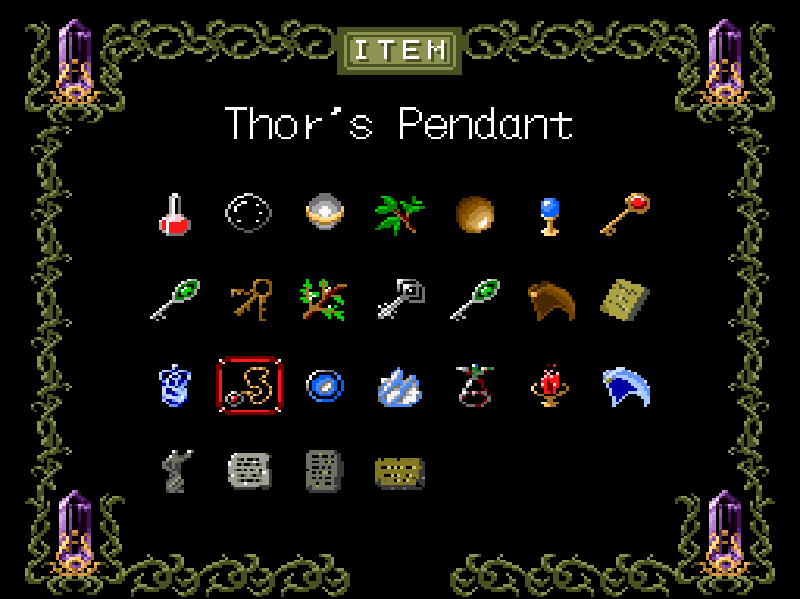 Again, you find almost every item you will need along your journey, but Lagoon does have a currency system. Monsters will drop small amounts of currency, by which I mean you just magically obtain it like exp, once they’ve been killed unless you kill them with magic, which I will get to in a second. The only real item that interested me was a Shiny Ball which speeds up your recovery on HP and MP, but by the time you’ve saved up the 10,000 coins you can’t go back to buy it, and its only a single use! What would an RPG be without magic? Well Lagoon would probably be much better off as you can only use it on normal enemies and never in a boss fight! 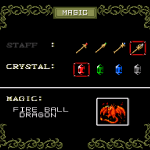 You only obtain magic through a variety of crystals and staves, which you can mix and match to create different spell effects. Not an original feature, but none the less the most creative feature in Lagoon. 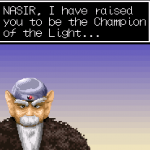 And finally I’ve reached one of the most important aspects of all RPGs, your HP and MP. This is handled in the exact same way as Ys, you have two long bars across the bottom of the screen, both bars indicate how much HP you and your foes currently have, respectively. Your HP and MP will slowly refill as you sit still, you can’t be moving at all for them to refill, but in some key areas they will both refill rather quickly. Game Over, well thankfully the suffering is over! I originally planned to compare Lagoon to the games I name dropped oh so heavily in this review to highlight its strong points, but by the end of playing through the game I felt it mostly highlighted just how poorly they dismantled those games and half baked a game that isn’t as good as any of the games it tried to become. On a scale of 1 to 10 replay ability is a solid 0, but I fear Kemco never cared as they already conned people out of their money. I always try to keep my reviews positive, but I can’t for every game and as much as I wished, hoped and tried to like Lagoon for what it is, I simply can’t!